112 is the common emergency telephone number that you can dial from any phone to get in touch with the emergency services in Europe and in many other countries around the world (in the US, calling 112 can redirect you to 911). This number should be called in the case of emergency, whenever you really need to make use of these services in the event of a real problem. That's why it's a good idea to download the APK of My112 to your Android device. 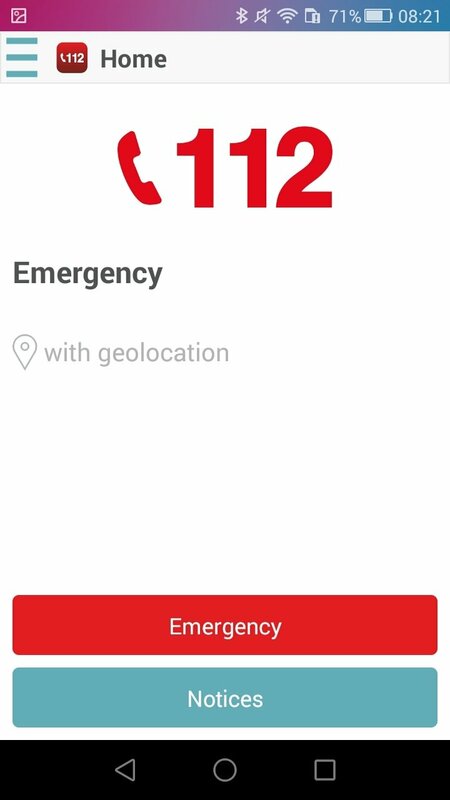 It's an app that can quickly connect us to the emergency services, sending them an SOS alert and our GPS location. 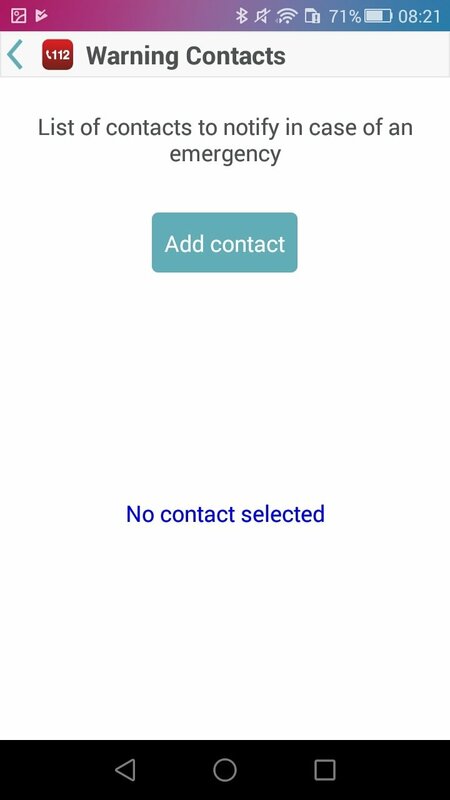 Thus, any of us can quickly ask for help by means of a simple phone call that sends associated information, such as our location, just in case it was hard to talk due to the situation. This service connects to the nearest 112 center and also allows us to receive real-time alerts that may affect our current location in order to take the corresponding measures. A simple call is enough to be located by the emergency services. 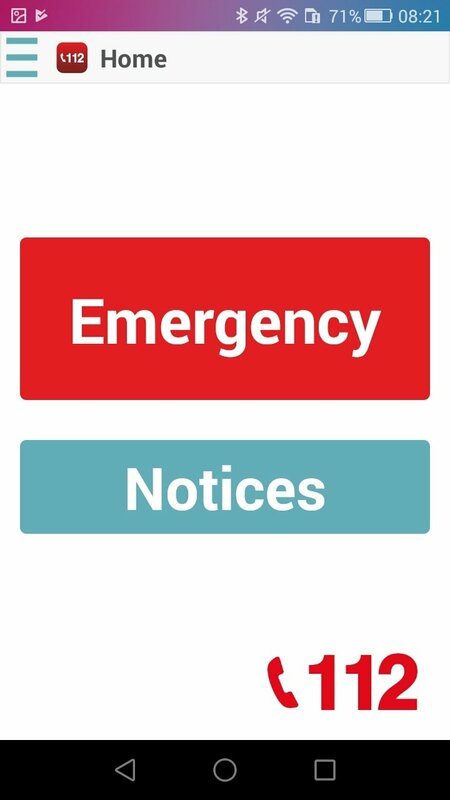 Receive emergency alerts about nearby positions. The notification will include associated information. 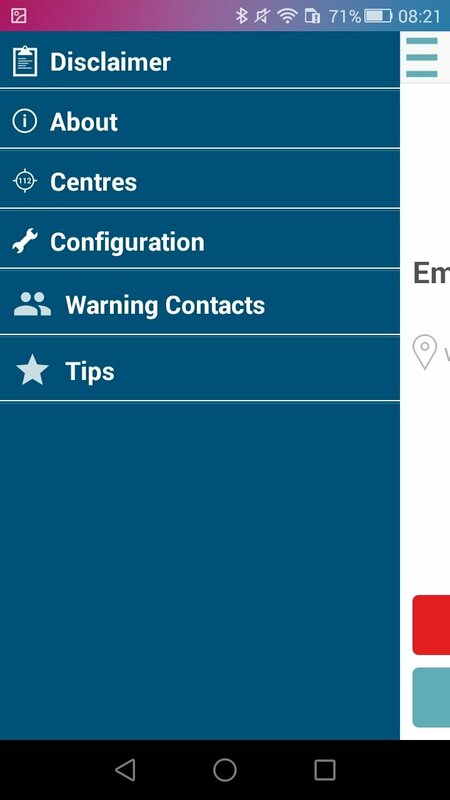 You can call the emergency phone line from the app itself, sending your location automatically to the call center. It also works if you call 112 straight from the dialer. Possibility to send a photo of the incident to provide additional information. 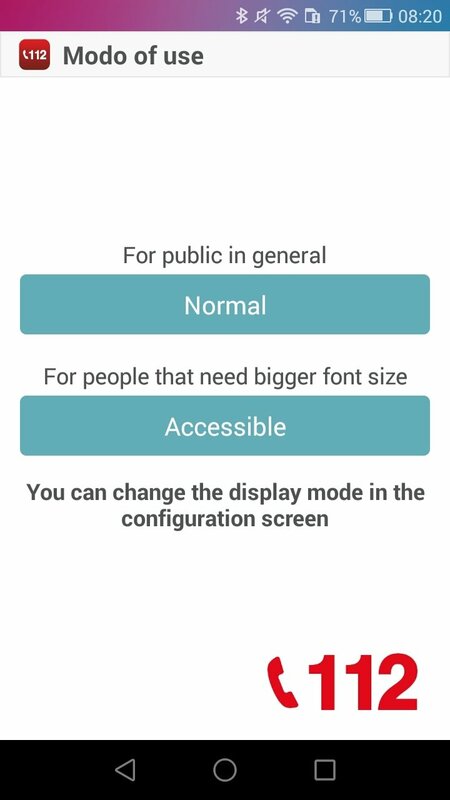 Includes an option to make the interface more accessible. 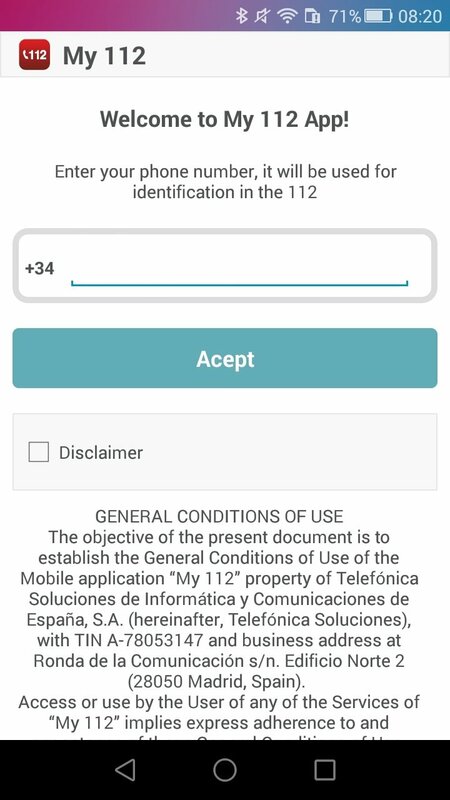 As you can imagine, the My112 interface has been designed to include only the basics so nobody has any trouble when it comes to sending out an SOS.